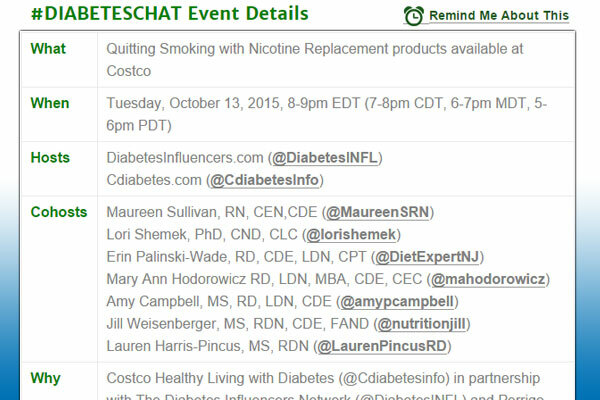 In October 2015, Costco Healthy Living with Diabetes (@Cdiabetesinfo), in partnership with The Diabetes Influencers Network (@DiabetesINFL) and Perrigo, makers of Kirkland Signature™ Quit™ Gum, hosted a live twitter chat on Diabetes and Tips to Stop Smoking and smoking cessation products available at Costco. The event was cohosted by Maureen Sullivan, RN, CEN,CDE (@MaureenSRN); Lori Shemek, PhD, CND, CLC (@lorishemek); Erin Palinski-Wade, RD, CDE, LDN, CPT (@DietExpertNJ); Mary Ann Hodorowicz RD, LDN, MBA, CDE, CEC (@mahodorowicz); Amy Campbell, MS, RD, LDN, CDE (@amypcampbell); Jill Weisenberger, MS, RDN, CDE, FAND (@nutritionjill); and Lauren Harris-Pincus, MS, RDN (@LaurenPincusRD). Here are some questions and answers from that chat. Why is it important for people with diabetes and prediabetes to stop smoking? Smoking is the leading cause of preventable deaths in this country. Smoking is a major cause of heart disease, the number one cause of death in the US, and the number one cause of death in people with diabetes. Smoking propels diabetic complications, but EVERYONE needs to quit! And let’s not forget about the damage that secondhand smoke does to those around us. Smoking increases your risk for type 2 diabetes by 30-40%, and the combination of smoking and diabetes is more harmful than either alone. Makes diabetes harder to control. Damages the lining of blood vessels, lowers HDL (good-cholesterol), increases blood pressure. 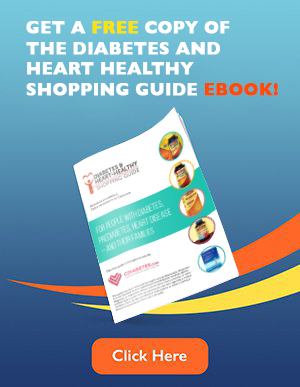 Increases heart disease risk, which is already elevated in those with diabetes. Decreases oxygen in the blood, increases blood clotting & modifies LDL (bad-cholesterol). Can cause blockages and narrowing of the arteries, which means less blood and oxygen flow to the heart and brain. Increases the risk of nerve damage and kidney disease. Increases the risk of cataracts and macular degeneration. And let’s not forget about the risk of many types of cancer as a result of smoking. There are more than 4,000 chemicals in cigarette smoke – all harmful to health! Smoking harms nearly every organ in your body, especially in people with diabetes. Nicotine is a major culprit for causing high blood sugar levels in smokers who have diabetes. Nicotine can raise A1C levels by as much as 34%! High blood sugar causes thicker blood which flows more slowly in the body, meaning less oxygen to the heart and brain. Smokers who quit have better blood sugar control. There are many smoking cessation products available at Costco. How do I know which is best for me? Your Costco pharmacist can help you choose. 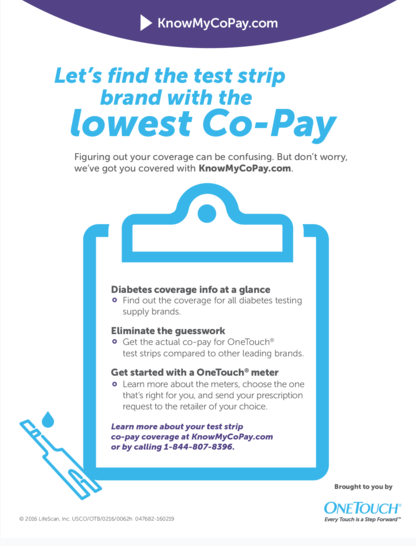 Talk with your pharmacist, doctor and insurance plan to find right product at the right price. Talk to your health care provider about any health issues that could prevent your use of Nicotine Replacement Therapy (gum, lozenges, patches). Choose the option that is easiest and most effective for you to use. I’ve tried to quit before, but I can’t deal with the nicotine cravings? Can I substitute food instead? Food alone is not the route you want to rely on. 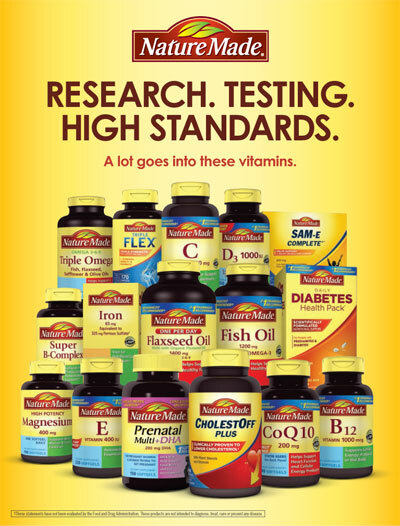 Get support from Kirkland’s Quit 2 and Quit 4 products. The nicotine patch and gum can help control your nicotine cravings, and the gum gives you something to do with your mouth. If you do substitute food, stick to healthy options like raw vegetables, fruit, unsalted nuts, popcorn, low sugar cereals and yogurt. Substituting food for smoking can lead to weight gain and impaired glucose control. Celery, cucumber or carrot sticks are low calorie and low carb! Preplan your quitting strategies – use portion controlled healthy snacks. Smoking is a behavior that is multifaceted. Decide when you’ll quit smoking and plan to change your daily habits to avoid times and places when you would normally smoke. Eat regular meals and exercise. Avoid blood sugar crashes. Smoking is often associated with “social events and drinking.” Know this in advance and plan so you can resist the temptation. Do smoking cessation products like nicotine patches affect my blood sugar levels? Yes, they can, but quitting smoking is the most important thing. Smoking cessation products can be safely used by people with diabetes, but wean off them as quickly as possible, and check your blood glucose levels often while using them. Label reading is very important. Check to see if the gum or lozenges have a sugar base to them. And always check with your pharmacist or health care provider as to which products are best for you. On average, people gain 10 lbs. from quitting smoking due to increased food intake and decreased metabolism without nicotine. You can work with a dietitian to help manage food cravings and emotional eating to prevent this. Try to cut 100 calories/day and walk 10 minutes to cancel these effects. You can also keep a journal to see what triggers “the need to smoke” and change those situations. Making a conscious effort to lower calorie intake and bump up activity will also help burn off the “stress” of quitting. How can I prevent weight gain after I quit? Exercise more! Studies show that people who exercise while quitting gain much less weight and are twice as likely to kick the habit. Quitting is also a great time to make your eating healthier. When the desire to smoke hits, replace it with a healthy habit such as exercising or drinking water. If your appetite increases, fill half your plate with vegetables at each meal to boost fullness without adding many calories. Keep your mouth busy with sugar-free hard candies, gum or mints. Crunch on carrots, raw vegetables and stay hydrated! Build your metabolism with strength training at least twice a week. Plan healthy snacks for when the urge hits to eat. Make drinking water your habit, not smoking! Brush your teeth frequently through the day. When your mouth is fresh and clean, you might have less of urge to smoke! I don’t smoke, but my spouse/partner does? Can that affect my diabetes? Having a smoker in the house can increase everyone’s health risks. Secondhand smoke causes more than 22,000 premature deaths from blood vessel disease every year, says the American Heart Association. Secondhand smoke can increase the risk of heart disease and diabetes. Compared to nonsmokers, people exposed to secondhand smoke have a higher measure of insulin resistance. Secondhand smoke is also linked to type 2 diabetes and obesity. I smoke when I’m stressed. What can I do instead? Stress management is important part of plans for diabetes, smoking cessation and overall wellness. The American Cancer Society suggests picking a quit date to prepare yourself, speak to your doctor, and rally your support. Exercise helps reduce stress, as does meditation! Find a good book, a hobby, play with the dog, or do something else to distract you. Yoga, deep breathing, and meditation all reduce stress! Eat foods rich in synthesizing Serotonin (your ‘happy transmitter’), such as salmon, for feelings of well-being and calm. 20 minutes after quitting smoking your heart rate and blood pressure will drop. 12 hours after quitting smoking the carbon monoxide levels in your blood will drop to normal! Focus on the win-win benefit of quitting – a healthy life, longevity, less stress, and saving money. Remember to always get adequate sleep! When you’re too tired, cravings can take over. And keeping your hands busy really helps! I smoke, but I am healthy overall. What are my chances of developing diabetes? Smoking alone can increase your risk by as much as 30-40% even with no other risk factors. Smoking can increase blood sugar levels and lead to insulin resistance/diabetes. Furthermore, all smokers are at increased risk of stroke, heart disease and various cancers. Where can I go for more information about smoking cessation products? Reach out to support groups. Ask your pharmacist or health care provider for help to find one for you. Remember, there are no negatives to quitting smoking.